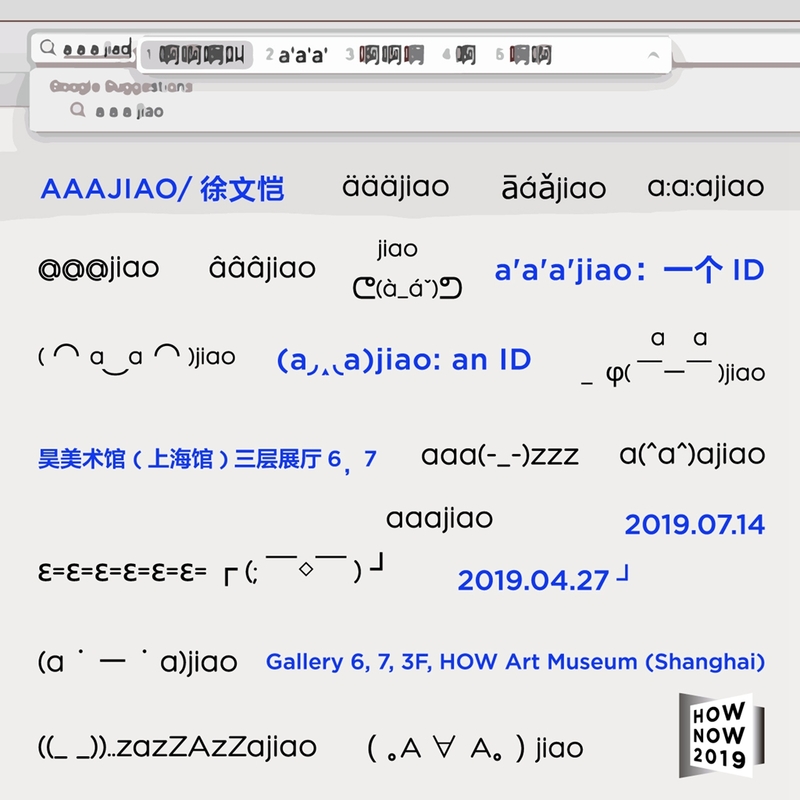 HOW Art Museum (Shanghai) will be hosting a solo exhibition of aaajiao/Xu Wenkai aaajiao: an ID from April 27, 2019 until July 14, 2019. This show is part of HOW NOW exhibition series featuring young Chinese artists. In 1989, the world wide web was created at the hands of the English scientist Tim Berners-Lee. aaajiao (Xu Wenkai) is part of the generation who grow up within this interconnected network and experienced the process of technological digitalization firsthand. Yet, thirty years later people are still incapable of summing up in one sentence all the changes that the internet has brought. aaajiao holds the perspective that, with the plethora of possibilities and immense satisfaction technology has brought with it a host of new dilemmas and crises: individual existence is increasingly defined on-line and in the form of numbers, the tightening of the inter-net makes the extensiveness of connectedness more and more immediate, causing the notions of “freedom” and “independence” to become abstract concepts outside the range of perception. The attainment and ascendance of an unfathomable amount of data paired with the unprecedented penetration of preeminence via technology make governance ever more convenient. People are increasingly faced with the danger of individual alienation by becoming what Edward O. Wilson described as “Eusocial Organisms”. If art represents the state of people’s minds, then its form is in the process of being profoundly altered by technology. Faced with the given predicament, if artists hope to play any sort of role in all of this, then they must first posit their practices at the core of the technological mechanism. 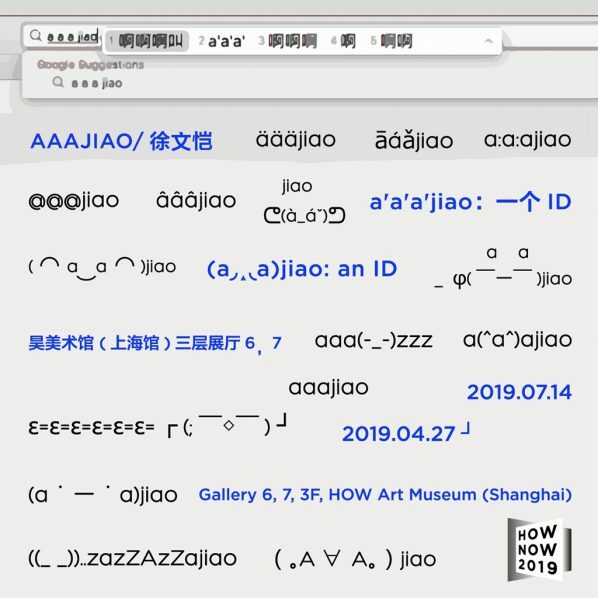 Due to aaajiao’s background, he welcomes and fully embraces new technology and thought brought about by this revolution; exploring the potential emergency exit for the psychological disposition of human beings through reflecting on technology while proposing a new way of thinking and aesthetics in the form of artworks. Courtesy of the artist and HOW Art Museum, for further information please visit www.howartmuseum.org.